YOU ARE NOT ALONE LECTURE EVENT. 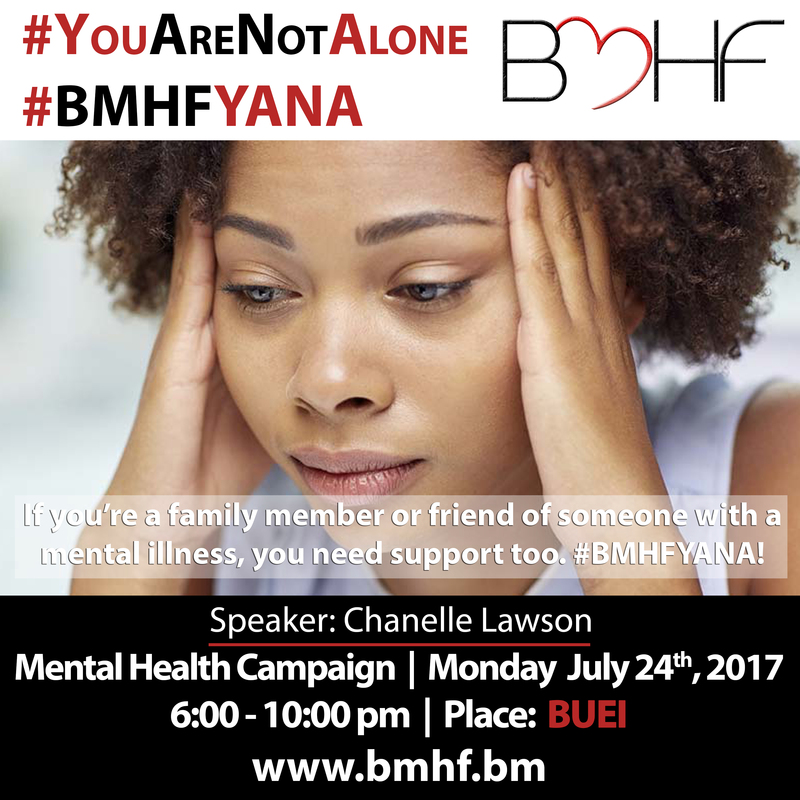 The Bermuda Mental Health Foundation invites the public to participate in a forum featuring international keynote speaker Chanelle Lawson along with Bermuda’s own Susan Thomas, Chris Gibbons, Karen Magnum, Winston Rogers and others. The You Are Not Alone lecture event will serve to assist the community with better support for family members who have loved ones with a mental illness. If you would like additional information, please call 400-5634. All are welcome to attend!